CBD chewables are an easy to manage daily tablet that gives consumers an easy way to kick start their supplement regimen with cannabidiol. Each liquid tablet is packed with 10mg of CBD hemp oil, with a total concentration of 600mg per package. Infused with a tasty strawberry flavoring, CBD chewables give users a quick and easy way to ingest natural CBD oil without the natural hemp flavor that usually comes with CBD hemp oil infused products. If you want to experience the power of cannabidiol in an easy to manage daily chewable tablet, then Sun States chewables are the perfect product for you. Each strawberry tablet contains the natural cannabinoids, vitamins and minerals that are unfortunately missing from most of our diets, and it all comes in one easy to use daily tablet. Our tablets are designed to help promote a balanced, healthy lifestyle, and to support a sense of overall wellness. CBD chewables are convenient for dosing while on-the-go, and are easy to incorporate into your daily routine. 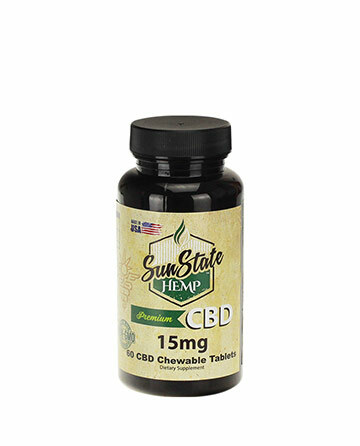 Embrace the benefits of natural CBD oil supplements and engage your endocannabinoid system with Sun State chewable CBD tablets. 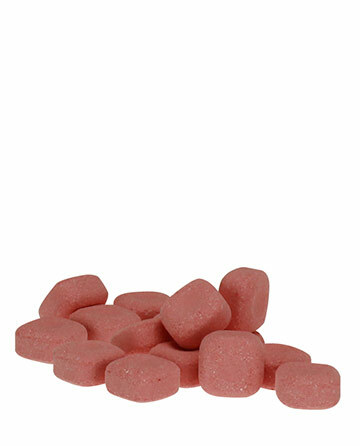 Take one 1 chewable tablet daily, preferably with a meal or as recommended by a physician. I'm SOOOO GLAD they made chewable versions of these CBD tablets. I'm terrible at swallowing pills. These tablets have done wonders for me. I've never felt younger.